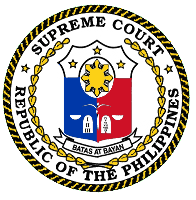 The Supreme Court announced on Friday that a out of the 5,903 examinees only of 1,451 examinees passed the 2009 Bar examinations. The 2009 Bar Examinations were held on September 6, 13, and 20; and October 4, 2009 at the De La Salle University in Taft Avenue, Manila. Reinier Paul Yebra of the San Beda College led the 1,451 passers of the 2009 Bar Exams. To all the Passers isang malaking CONGRATULATIONS!! !